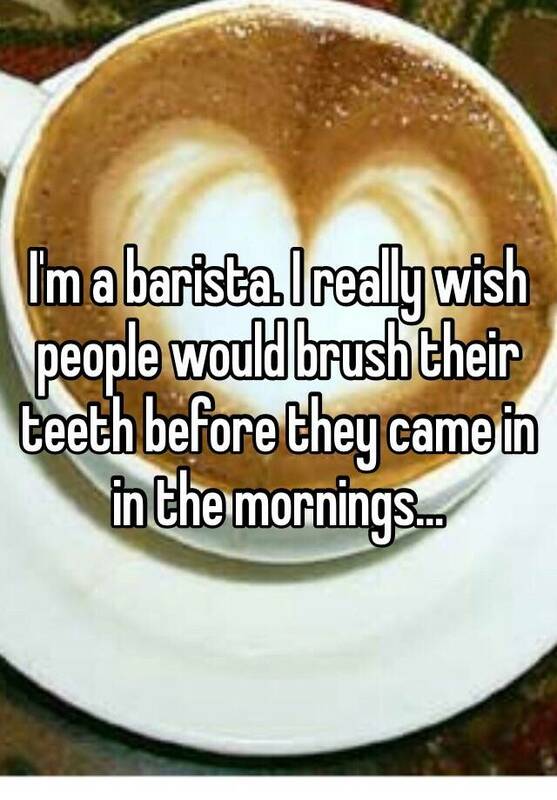 Raise your hand if you're a decaffeinated monster in the morning. 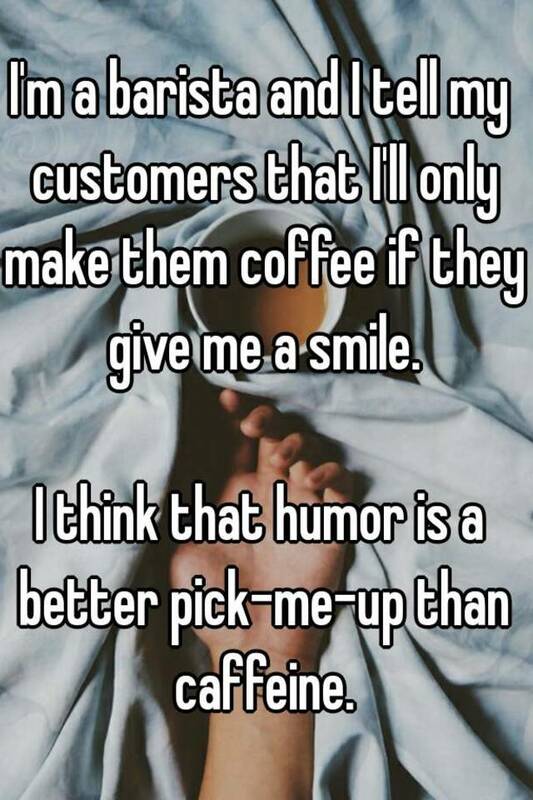 I'm hard pressed to find a grumpier crowd than the line at the local coffee shop at 8:00 a.m. on a Monday. 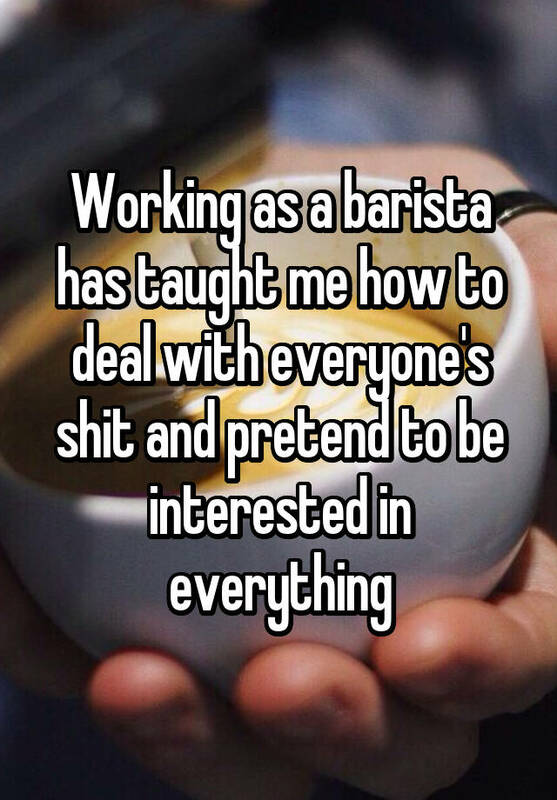 Not to mention a tougher job than the baristas who are whipping up countless venti red-eyes and flat whites while fielding those mumbles and grumbles. 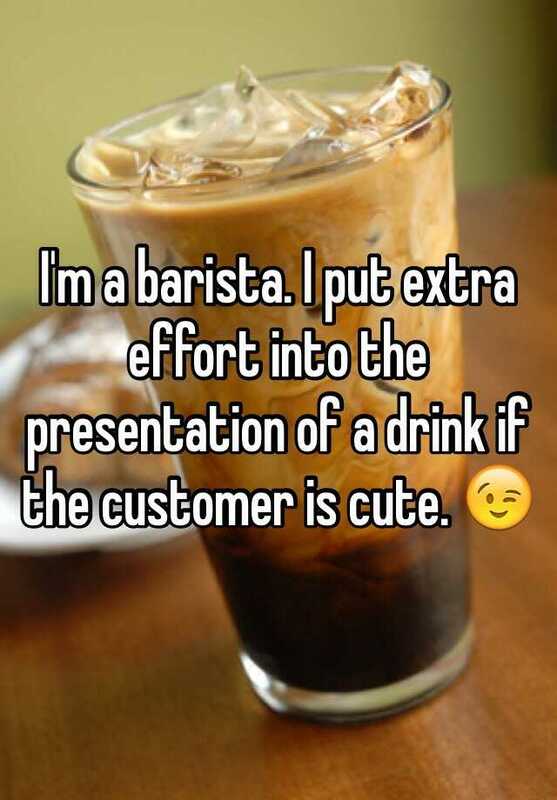 Have you ever stopped (post-necessary caffeine sip) to wonder what your barista has seen and served? 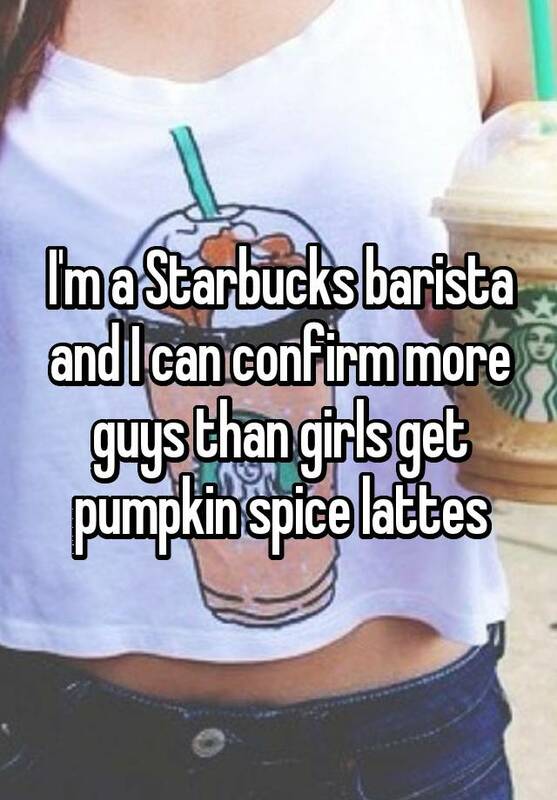 What have they gleaned from your tireless triple, venti, half-cream latte orders? 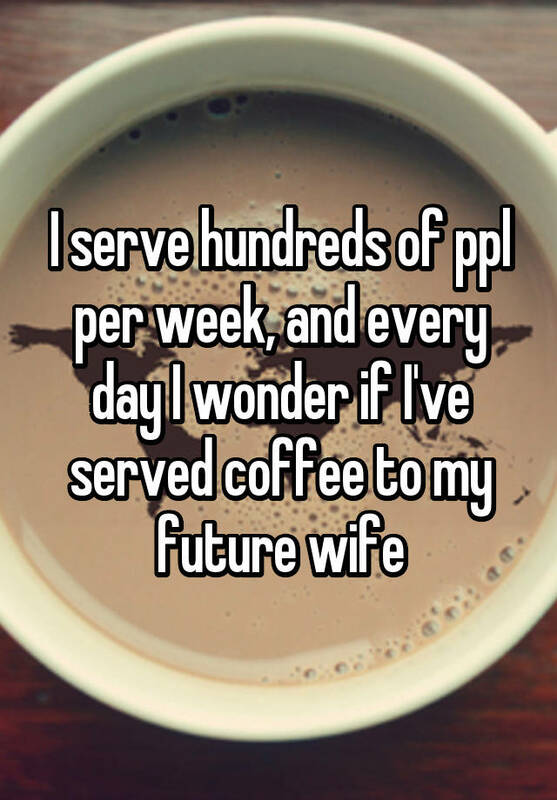 If coffee could talk, what would it say? 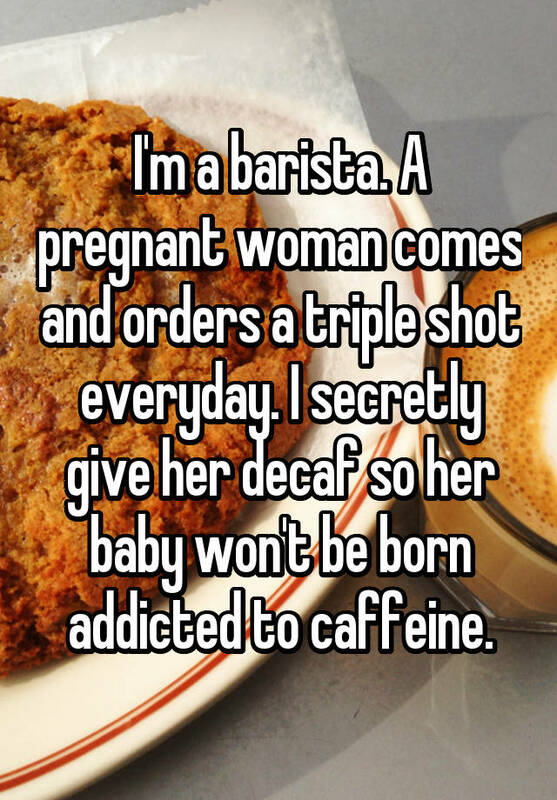 Well, we're about to share those secrets. 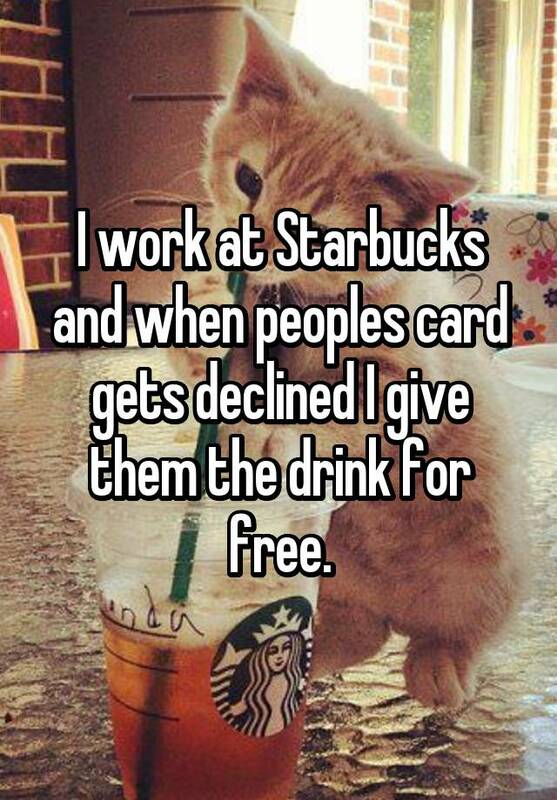 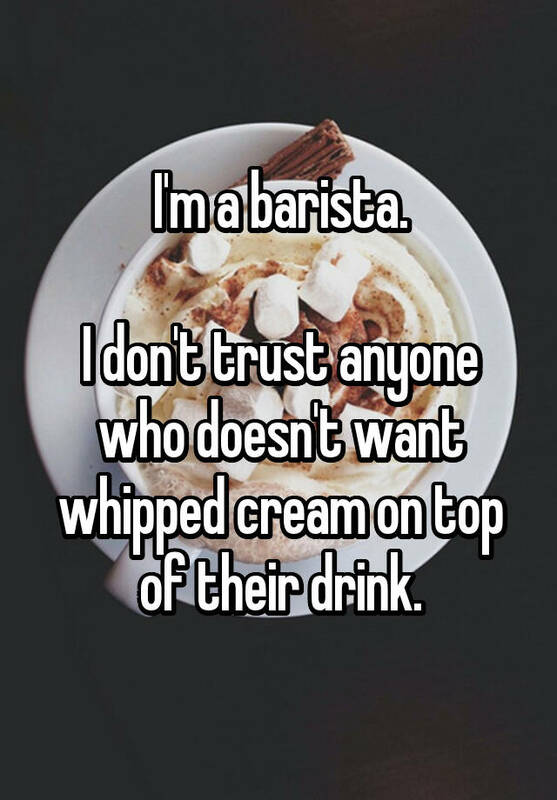 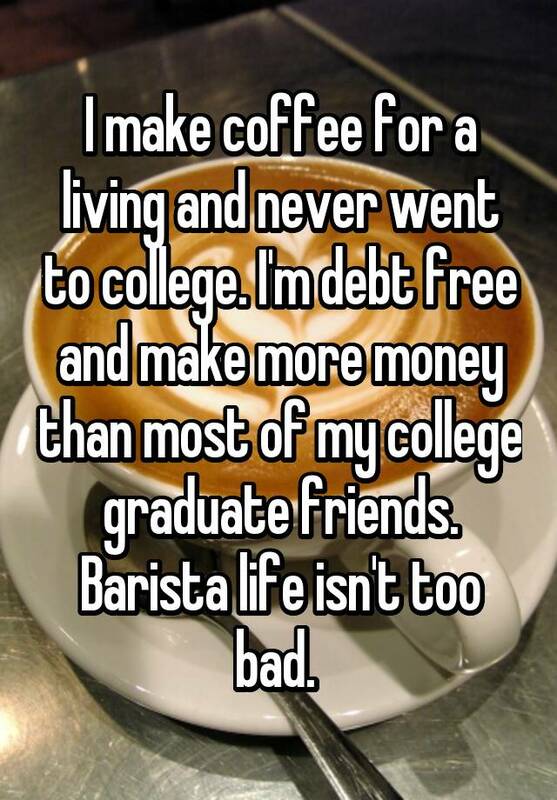 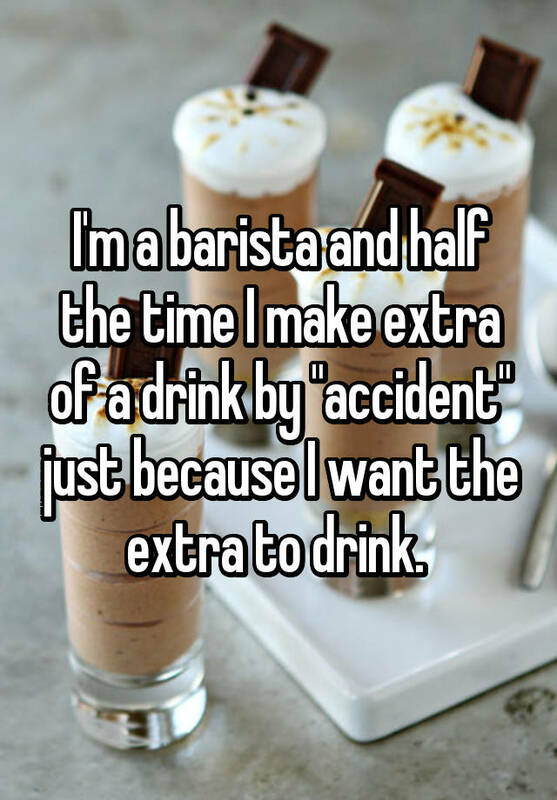 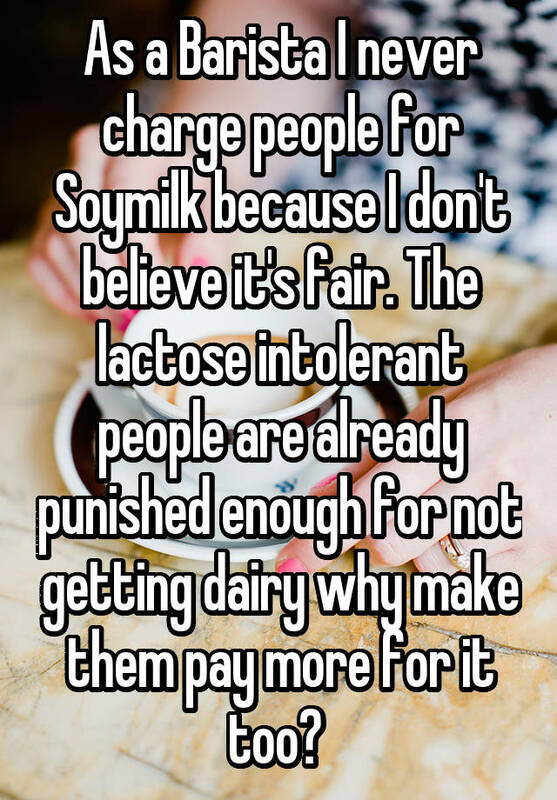 Thanks to the app Whisper, we've rounded up a handful of confessions from your bean-brewing baristas. 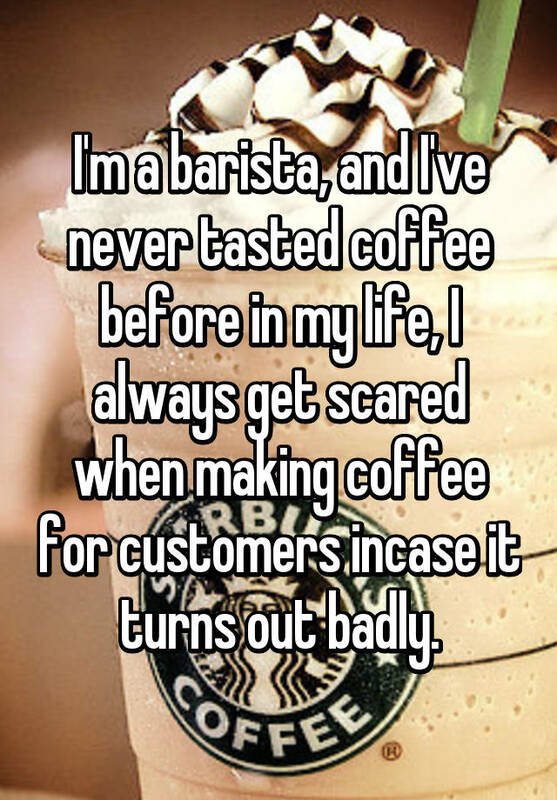 Some are shocking (no really, they may be messing with your caffeine levels on purpose); some are sweet. 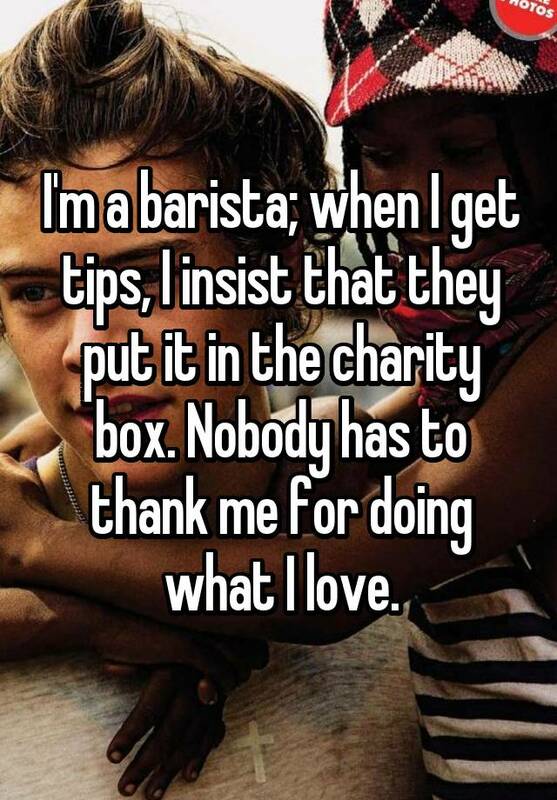 And some may just change the way your order your grande, quad, two-pump, no-whip mocha tomorrow.